I have a long history of dairy farming in my family. In my younger days I spent many weeks at the farm of my uncle. He had 40 cows on fertile grassland, with some land for corn and grains. Once, when milk prices were very low, I talked with him on the future of the farm. He said that my grandfathers had been dairy farmers as a way of life, but that he was running the farm more and more because he had to make a living. I believe this is the core of deliberations on the future of many smaller companies: how to make business profitable, based on the skills and dedication of people whose life is the company. Today, dairy has become one of the largest contributors to the Dutch economy, with a total production value of €12 billion. Whereas the average number of cows on a farm has increased to an impressive 90, dairy farming is still family business. Sustainability is top priority for farmers, companies, research, civil society and the government. Dutch partners are also very active internationally. As traders of cheese and milk powder we have good relationships worldwide. Dutch stakeholders are furthermore seeking opportunities for investments and local partnerships abroad. As the Government of The Netherlands we are pleased to see growing interest for economic cooperation also in low- and middle-income countries. We support this in our cooperation with other governments, by making applied knowledge available, and by facilitating public-private partnerships and investments plans. With good results like in dairy! Public-private partnerships involving FrieslandCampina have trained farmers in agricultural practises in Indonesia and Vietnam. 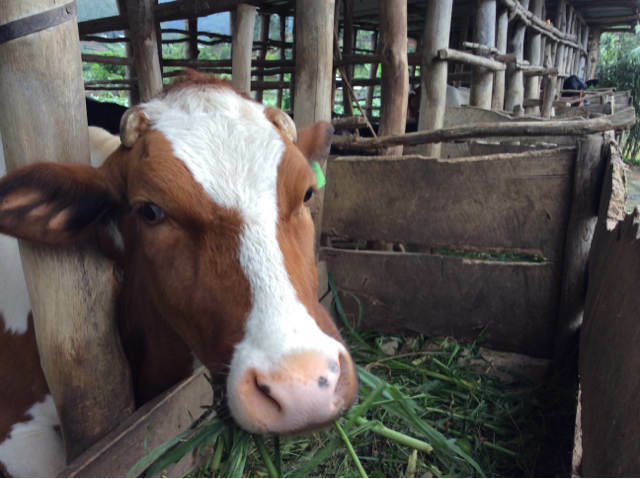 We back up dairy development in Kenya with support to small- and medium-sized companies like Bio Foods Products and to several other inspiring market-led activities. Such examples illustrate that farmers and other business people are open minded, eager to deliver top quality products and services. They consider their business as a way of life, rooted in local culture and the natural environment, and they are responsive to markets, fully aware that consumer demands have to be met. There are great opportunities to expand small businesses in a responsible manner. I would like to quote Natumanya Colleb, a farmer in Uganda. He has been taking part in improving milk collection and cooling with his fellow 40 farmers, a program supported by The Netherlands. In a short, beautiful video Natumanya shows how their milk, produced with commitment and dedication, is improving their lives: “Our milk, it has market now, every day it goes”.